The Larry L. Hillblom Islet Research Center was established with a building grant from the Larry L. Hillblom Foundation and matching funds from UCLA. The Larry L. Hillblom Islet Research Center was formally opened in November 2004. 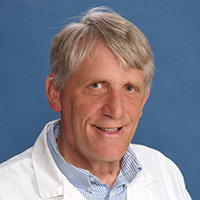 The stated goals of the Larry L. Hillblom Islet Research Center are to bring together a group of leading scientists to work in the center as a team focused on islet research with the overall goal of contributing toward, while providing leadership in, the worldwide efforts that will eventually lead to the prevention and cure of diabetes. The infrastructure provided by the Larry L. Hillblom Islet Research Center has facilitated meeting these goals of training new research investigators and contributing to an understanding of the mechanisms leading to islet failure in diabetes. In the first 14 years of operation, the Larry L. Hillblom Islet Research Center contributed more than 100 research publications, many of which have been frequently cited. More than 10 trainees from the Larry L. Hillblom Islet Research Center hold faculty positions at institutions across the world. In addition, more than 30 undergraduate trainees of the center have gone on to medical school, graduate school, pharmacy school, dental school, and law school making the center a magnate for postdoctoral fellows and students seeking a research experience. The normal growth and formation of human pancreatic islets from birth through adult life to healthy old age. The epigenetics that confer specific identity of endocrine cell types, and specifically the maturation of beta cells from immaturity to function. Adaptive changes in beta cell mass and turnover in humans in pregnancy and obesity. Invariable presence of beta cells in humans with long standing type 1 diabetes with ongoing autoimmunity implying ongoing beta cell formation. The importance of the proteasome and autophagy/lysosomal pathways in protecting beta cells against protein misfolding. Identification of toxic oligomers of islet amyloid polypeptide as central to beta cell dysfunction and loss in type 2 diabetes. The cross talk between islet inflammation and exocrine pancreatic hyperplasia with increased proliferation of pancreatic duct glands and the pancreatic ducts in humans with type 1 and 2 diabetes. Wide range of beta cell mass that accrues from birth to adult life in humans, monkeys, rats and pigs along with role of endoplasmic stress in beta cell failure in type 2 diabetes implying central role of beta cell growth in risk for subsequent type 2 diabetes. Limited role of loss of beta cell identity (or dedifferentiation) to account for beta cell deficit in humans with type 2 diabetes in contrast to reported findings in mice.